Why are Handpans so expensive? 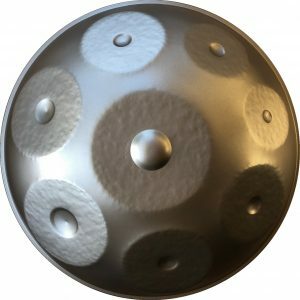 A good quality handpan that is made similar to the original Hang design is generally priced at around $1,600 - $4,000. This at first may seem like a lot of money, but when you think about it, it's not! When was the last time you priced a piano? Or a saxophone for example? These instruments generally cost WAY more than a handpan does. Understanding why Handpans are "expensive"
To understand why these instruments are priced the way that they are, you need to consider this: These instruments are not mass produced in a factory. They are hand made, by real people who who put many hours into creating just one instrument. Their creation requires skill, materials, expensive machines and tools, possibly building rental, businesses expenses and employee wages. Most of the "expensive" handpans under go a wide range of manufacturing processes to get the correct shape and sound of the instrument. They also go through several treatments so that they do not rust. As already mentioned, these instruments are not made by a machine, they're hammered out by hand. As you can see from this speed-up video, a LOT of man hours go into just getting the rounded shape. After the rounded shape is achieved, the hand pan creator then needs to hammer out the indents for each note. Although it might be hard to believe, this isn't even the hard part! The hard part is tuning the instrument, but that's a topic for another blog post. 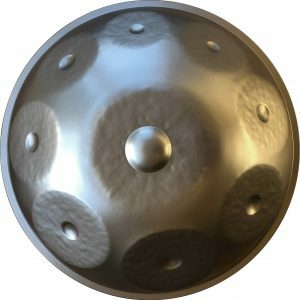 How much should a Handpan cost? The answer to this question, in my opinion is $1,600 to $4,000, and this of course depends on the quality of the pan, however the real question you should be asking is; how much should a hand pan maker earn per year? This question should bring you to the real answer of how much a Hand pan is worth. From my research, 1 single handpan creator can make around 30 - 50 instruments per year. If he or she were to sell 30 of them at $2,000 each, that's about $60,000 per year revenue, give or take. Keep in mind that not every pan created is a success, making a hand pan is not easy and mistakes happen, so not every unit made is fit for sale. As mentioned earlier a hand pan creator has overhead costs. 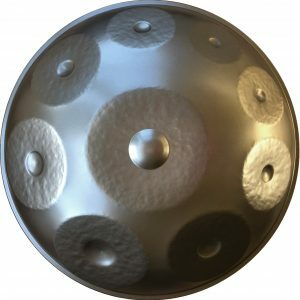 The price you pay for the instrument is not pure profit for the creator, when you take into consideration: building materials (such as steel and steel treatments), expensive machines and tools, possibly building rental and other businesses expenses such as taxation and insurance, it's certainly not all profit for handpan makers. 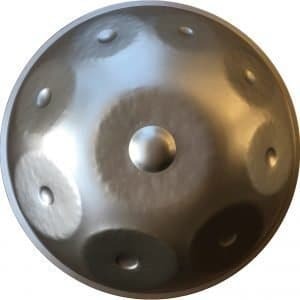 Interested in buying a Handpan? We currently have two types of Handpans available at an affordable price with no waiting list. Free delivery to your door is included along with a carry bag. Delivery time is 7-10 days. We want to make handpans as available and affordable as possible, which is why we offer a payment plan so that you can pay your instrument off over 3 months. There is of course also the option to pay your instrument in full if you'd prefer not to wait. Have a question? Send us a message here. Disclosure: The owner of this website, Aaron Price, is a participant in the Amazon Services LLC Associates Program, an affiliate advertising program designed to provide a means for sites such as this one to earn a small percentage on each sale that is made though Amazon.